Don’t let anything stop you from completing your full 30 days. The Dubai Fitness Challenge is all about getting active, but did you know that you don’t need a gym to do so? 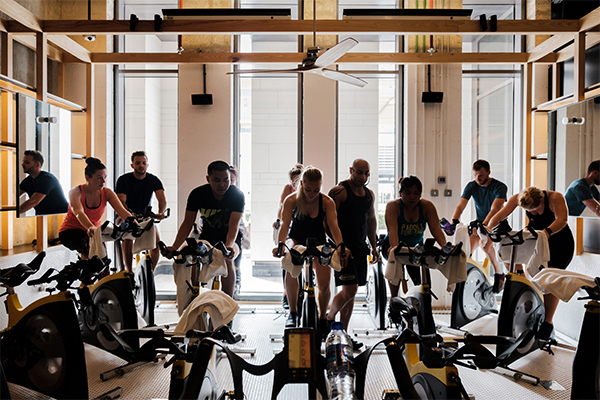 Here’s everything you need to know about staying active every day, and where you can get your 30-minutes in around the city. When you’re training every day, the way to stay motivated, excited and injury-free is to , make sure you to mix up your exercise. Sticking to one workout can mean over-training the same muscle group and also getting bored pretty quickly. So, if you’re doing long runs on the track at The Palm Jumeirah Fitness Village (venue 7) every day, or maybe the free spin classes at Surge, Platform or Warehouse Gym, this doesn’t give the muscles used any time to recover. You’ll eventually fatigue them, making you susceptible to injury as you continue to train on tired muscles. It can also means seeing little progression. Firstly, because tired muscles can’t perform at their best, and secondly, because your muscles will adapt to the repeated activity, to the point where it stops being as effective. So, alternate your running and spin with some resistance training – especially upper body weights sessions, to give the legs a rest. If you’re doing a predominantly upper body workout, then add in some leg sessions. Prepare for cardio and resistance training with a warm up and some dynamic stretches. These are movement stretches that mirror the exercise you’re about to do; they will activate the muscles and prepare the joints for movement. So, if you’re about to do a free legs-based CrossFit session at InnerFight, your warm up could be a slow five-minute jog followed by some bodyweight squats or some hip-opening leg swings. Venues like The Beach & JBR (see venue 1) or Burj Park (see venue 12) are ideal for this, with open spaces, running tracks and great views. Save the static stretches for after your workout and perform them without bouncing but by holding still in each stretch for around 30 seconds, get a friend to help if you’re struggling to hold in place. Although there is no solid evidence that stretching post workout can help you avoid muscle soreness, it’s great for relaxing and for increasing flexibility – both important factors when you’re training every day. To find out more about stretching, visit one of the Fitness Villages and ask one of the many trainers on site to guide you through. If you’re upping your exercise, especially if you’re training outside at one of the five Fitness Villages, you need to up your water intake accordingly. Even if you feel ok during the session, you could become dehydrated later in the day or the next morning. We should all be drinking around eight glasses of water a day, and if you add outdoor exercise to this, you need to be topping up with another two to four glasses. Still feeling dehydrated? Add electrolytes (hydration salts) to your water during the day to give yourself a boost. Alternatively, move your exercise indoors to one of the many free classes available during the Dubai Fitness Challenge, which you can find on the app. It’s important that you don’t go super hard 30 days in a row to avoid fatigue and soreness. So, make sure to mix up the intensity of your workouts. If you’ve done two High Intensity Interval Training (HIIT) sessions, two days in a row, follow this up with some low intensity exercise. Try yoga and pilates at La Mer (see venue 17) or steady state cardio like a gentle swim at the Kite Beach Fitness Village (see venue 9). After a HIIT session, your body needs to work hard to regenerate vital energy molecules within the muscles; it needs to bring down your body temperature, your heart and breathing rate as well as stress hormone levels. You also need to breathe harder to make up the oxygen deficit you’ve incurred during the exercise. This whole process can take hours after you’ve finished the session, so you can see why it’s not ideal to put your body through this every day for 30 days. Mix up the type of HIIT you’re doing too, to avoid overworking the same muscles. You can find a whole host of free HIIT and yoga sessions on the the Dubai Fitness App, which you can download here. This might sound like a strange thing to suggest when you’re supposed to be training every day for 30 days, but rest days don’t mean you can’t be active. Even athletes take a rest or ‘recovery session’ at least once a week. This can be a slower run, a walk, yoga or a stretch session at spots like Al Ittihad Park, Jumeirah Corniche and even in a mall such as Mall of The Emirates or Dubai Festival City. If you’ve been mostly biking or running, add in some pilates in open spaces like Zabeel Park and Jumeirah. And if you’re all about HIIT training or weight training, then your recovery session could be a nice 30-minute walk on the beach one evening at JBR or Kite Beach. You can still tick off your 30-minutes, but do it by giving the muscles (and your heart) a little breather. For the mentioned venues, various workouts and more, download a full map . All ready to kick-start your Dubai Fitness Challenge? Download the Dubai Fitness App here.